Home / Mixed Bag / Liebster Award ! Usha Menon a strong lady- great Blogger, whom I admire and to be nominated by her for the prestigious Liebster Award makes my heart jumps with joy ! I accept it with gratitude. Thank you Usha for considering me worth this award. 4. Pick 5 - 10 new bloggers (must have less than 300 followers) to nominate. 5. Ask them 11 new questions. Do not re-nominate the blogger who nominated you. 6. Go to each blogger's site and inform them of their nomination. I have already given out enough facts about myself, so I skip directly to answer the Nominee questions. 1. What is your favourite pass time? I enjoy reading, writing, watching movies or just hanging out with friends. 2. How did you start blogging? I had a story to tell, so what better than blog world to reach out to the whole universe at large. 3. Which is your favourite TV show? I don't have one, I enjoy watching many shows. 4.What is your opinion about working ladies? They are doing a good job by supporting their families financially. I applaud them for their hardwork. 5.Are you a party person? 6. Who is your favourite film star and why? Sir Amitabh Bachchan7. If you get power for a day, what change will you like to bring in the country? I will tell you when I get the power !8. A boy or a girl-----whom do you prefer? 9.What are your views about Indian media? 10. Which book did you read recently? The Immortals of MELUHA ! 11. What do prefer love marriage or arranged marriage? I nominate the following bloggers for the Liebster Award, and my questions for them are the same ones I answered above. Congratulations Ananya. I wanted to be the first one to congratulate you, and here I am the first!! You deserve the award on your own merit. God bless you!! many congratulations Ananya, I would have loved to see you put different set of questions, coz it would have given you a freedom to indulge into a lot more creativity and know your friends better!! Yes Karan what you said is true but today I am not in a mood to ask any Questions :) for sure in mext award will do so ! Congratulations Ananya! Good to know a bit more about you! Big B is my fav actor too! Thanks a ton bunch Ananya! 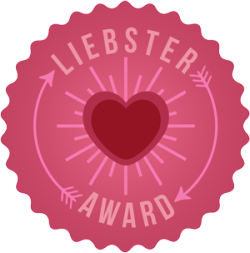 This is the 2nd Liebster for NatashazWords in a month and 4th for both by blogs combined! Really happy. Thank you for the nomination! I will be working on my post soon! Thanks a lot Ananya.. :) I have gratefully accepted your award. Thanks a ton for nominating me Ananya. I feel so honored, I just happened to be reading your Mrs Washington posts and stumbled upon my name.